Making child-owned policies part of the toolkit could be one solution to the Achilles Heel of many an advisors practice. For most producers who sell individual life insurance policies to families, the terms “policy owner,” “insured” and “beneficiary” call to mind “parent,” “parent” and (absent a spouse) “child,” in that order. It’s not every day that a child applies to be both policy owner and beneficiary of a contract in which the parent is merely the insured. There are, however, scenarios in which such a labeling of the contract parties makes good sense. In cases where one or both parents desire to use life insurance to execute traditional estate planning, wealth transfer or long-term care objectives, but are unable to fund the insurance wholly or in part, then making an adult child the policy owner and premium payer could be a solution. 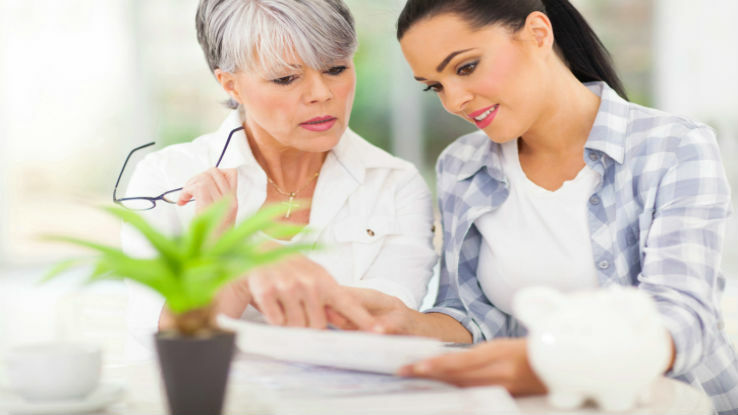 Less commonly, adult children themselves initiate the purchase of a policy on a parent to realize retirement and investment planning goals. But these transactions can raise questions — and red flags — among carriers and regulators. Is the child seeking a policy for legitimate purposes? Does he or she have an insurable interest in the parent? There are other issues to weigh. Among these are the cost of a policy to the child given a parent’s age and health; the internal rate of return of a policy relative to other investments; the contract exit strategy in the event the insured parent should live longer than expected; siblings contributions’ (or lack thereof) to the premium payments; and whether to elicit the participation of family members in intergenerational planning discussions. Hanging over all of these questions are two others: the nature of the relationship between parents and adult children; and whether a consensus can be achieved between the parties on goals and objectives. And, ultimately, on who’s prepared to pick up the premium tab. In some cases, an adult child may be asked to fund an existing policy by parents who no longer have the desire or means to do so on their own. Example: an expensive-to-maintain irrevocable life insurance trust (ILIT) established by parents during their prime earning years for the benefit of their kids. One issue that can arise when children buy a policy is insurable interest: Is the policy being purchased for a reason that would pass muster with a life insurer and the courts? Specifically, would a death benefit be used to compensate beneficiaries for a financial loss (as opposed to providing a speculative gain) resulting from the passing of the insured? In situations involving conventional estate planning, the answer is clearly yes. A life policy can be used to pay estate taxes that otherwise might prove ruinous to trust beneficiaries forced to liquidate estate assets to cover the tax. And if the policy is owned by an ILIT, beneficiaries are doubly protected, for the policy proceeds are distributed not only income tax-free, but also estate tax-free. Assuming there’s an estate tax liability to be paid. Because of recent changes to the tax code, fewer people are funding ILITs to cover estate taxes. The American Taxpayers Relief Act of 2012 set estate taxes at 40 percent of an estate valued above $5 million. Indexed for inflation, the unified credit (estate and gift tax) exclusion amount rose to $5.3 million in 2014. This figure is well above the $675,000 exemption prevailing at the start of the millennium, before implementation of Economic Growth and Tax Relief Reconciliation Act (EGTRRA) of 2001, which implemented progressively higher estate tax exemptions amounts over the subsequent decade. Fair enough. But there are reasons apart from tax avoidance objectives for implementing a life insurance-funded estate plan (with or without an ILIT). Parents might, for example, desire to equalize an estate by bequeathing a family business to a market-savvy adult child and providing a life policy equal in value to the business to a sibling. Estate equalization may also be the goal among blended families where, for instance, a spouse by a second marriage is due to inherit the estate. Providing life insurance to adult children by the first marriage — funded, if necessary, by the kids themselves — may be an equitable solution. In each of above scenarios, child-owned life insurance has a legitimate role to play. Less evident is whether a policy would meet with carrier or court approval in cases where an adult child is buying a policy on parents to fulfill retirement planning objectives. Case in point: using the death benefit to cover a shortfall in savings stemming from the child’s failure to build up an adequate nest egg. Of course, children applying for a policy on a parent could try to circumvent scrutiny by disclaiming any desire to enrich themselves. This strategy, however, would likely not defeat a rigorous fact-finding. During the underwriting process, a carrier will inquire, among other things, about the applicant’s income and net worth, outstanding debts and other life contracts in force. If a child is seeking a $10 million policy but fails to document matching estate obligations connected with a generational wealth transfer, then the issuing carrier might void the application. More likely to meet with a carrier’s approval is a policy purchased by children for dual uses: (1) securing an inheritance; and (2) covering potential long-term care expenses of the insured parent. Many new linked-benefit products do just that. Integrating a permanent life insurance chassis (typically universal life), the products pay a benefit for the face amount, less any portion thereof needed to cover long-term expenses. Among them: nursing home, assisted living or home attendant costs that, absent a policy, could substantially reduce monies saved by parents to fund retirement needs and/or provide a legacy for children. Though less expensive than stand-alone long-term policies, linked-benefit products may prove prohibitively costly for parents. Hence the advantage of having a child who is better positioned financially to fund the premiums. “Parents who have assets to protect may question the value of funding a policy if the premiums paid would reduce cash flow they need to live on,” says Beatty. “Having the kids make the payments can help insure they don’t run out of retirement income.” This strategy might also make moot the insurable interest question in cases where the kids are also looking to fill a gap in their own retirement income planning, he adds. Many of the market’s new linked-benefit products offer long-term coverage as an optional rider on a life policy (or, alternatively, an annuity). Example: Foundation Builder Indexed UL, a no-lapse guarantee product featuring 5 index interest crediting strategies linked to the percentage change in the S&P 500. There’s also Lincoln Financial’s MoneyGuard ReservePlus. The product’s optional long-term benefit riders offer a choice in payment options, from a single premium to payments spread out over 3, 5, 7 or 10 years. This leads to the next issue: the wisdom (insurable interest notwithstanding) of children owning life insurance on parents for investment purposes. Factors that an investor will need to consider are the dividend payments (on whole life policies), the crediting interest rate (in UL policies) and the potential for stock market gains accruing to holders of variable universal life products, in addition to indexed UL solutions. As with all investments, taxation is also a factor. Like other tax-advantaged vehicles, including qualified retirement accounts such as 401(k)s and 403(b)s, and individual retirement accounts, the inside build-up (cash value) of permanent life policies grows tax-deferred. A distinguishing feature of life insurance is the additional tax benefit — the aforementioned income tax-free distribution of policy proceeds. This brings us to a factor that may outweigh all others in the investor’s calculus: a policy’s internal rate of return (IRR): the interest rate at which the net present value of all cash flows (both positive and negative) from an investment equal zero. The greater the face amount, and the lower the cumulative premium payments at the insured’s death, the greater will be a policy’s IRR. At the time of a policy’s purchase, its internal rate of return may be in the high double digits. Each year thereafter, a contract’s IRR declines. If the parent lives well beyond life expectancy, the IRR could be abysmal — perhaps only 1 to 3 percent — well below the higher yields available on alternative investments. “Life insurance is sometimes touted as a retirement vehicle for the child where there is a guaranteed rate of return in every respect — except as to when the parents die,” says Benton. “What you don’t know is whether the parent will die before, or live beyond, life expectancy. And because you can’t predict the parent’s age at death, I don’t see it as a viable retirement planning strategy.” Herbert Daroff believes otherwise. A registered investment advisor at Baystate Financial Partners, Daroff insists the mortality question should not dissuade children from using life insurance to help fund retirement or investment objectives. Yes, a policy’s IRR may fall short of expectations. But the same holds true for vehicles whose yields are beholden to market fluctuations, be they stocks, mutual funds, ETFs or alternative investments like commodities. To boot, life insurance is less likely than these other vehicles to yield a loss for the investor. “Rarely with the life products we sell today do people end up paying more in premiums into a contract than they collect back in death benefit,” says Daroff. “So the investment return will, at a minimum, be like that of a bond fund. For most middle income clients, he added, the merits of the policy from an investment standpoint will turn on one question: how a life product’s estimated IRR compares with the net after-tax projection of the yield for other non-qualified retirement accounts. If the IRR proves superior, then the purchase of a life policy can be justified. How might a policy’s mortality cost affect the internal rate of return? It won’t, says Daroff. All policies cost the same; only the price (premium) is different. Thus, the IRR at life expectancy is the same for a 35-year-old insured as it is for a 65- or 85-year-old. Likewise, the IRR for an insured with a rated policy (and thus reduced life expectancy) will be the same as for someone labeled a standard or preferred risk at the same age. The only difference is the rated insured will pay more in premium over (actuarially) fewer years to achieve the same IRR. Whatever the IRR, a life policy should be used to fund only a portion of retirement income (say, 20 or 25 percent). A guiding principal for other savings vehicles — having a well-diversified portfolio to mitigate investment risk — applies also to life insurance. So children considering owning a policy on one or both parents will still need to look to alternative savings vehicles, tax-advantaged or otherwise, if they’re to plan for retirement wisely. The case for a child-owned policy, whatever the goal, may be airtight from a technical standpoint. But securing the transaction may be easier said than done. Part of the challenge is surmounting the novelty factor, particularly in cases where retirement or investment objectives are in view. Clients may have difficulty broaching the solution with parents because the conversation will prove uncomfortable — or so they believe. Another potential pitfall concerns not the parents, but siblings. An adult child sold on the idea may find buying a policy prohibitively expensive unless a brother or sister agrees to share in the premium payments. This is a point on which the deal often falls through, notably in cases when the siblings disagree on their respective financial needs, ability to contribute and how much each should derive from a policy payout. These differences, not to mention tensions in relationships among siblings or between parents and children, attest to the need for intergenerational planning. Thus the advisor needs to bring all of the relevant parties together to discuss, and secure their mutual agreement to wealth transfer and other financial planning objectives. The chances are slimmer, too, that you’ll be doing business with the client’s family over the long-term. For all the technical, sales and relationship-building skills they bring to planning discussions, too many insurance and financial service professionals fail to engage family members who may prove pivotal to future business after the initial client dies. Making child-owned life insurance policies part of the planning toolkit could therefore be one solution to the Achilles Heel of many an advisor’s practice — subpar client retention.